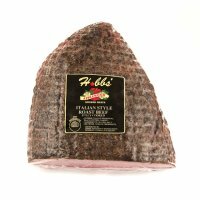 Hobbs' Rustica Bresaola is the classic Italian beef which has been trimmed of fat and air cured to develop a fuller meatier flavor and superb taste. 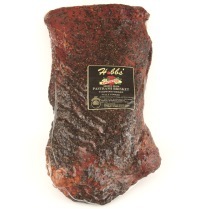 It is a popular slicing meat for sandwiches and catering. New York style, flat and fully cooked. This Italian style capless top round is moist, pink, and tender.